ADR Social Media offers professional social media and small business consulting. Whether you’re just starting out in the social media market or already have a campaign in place, ADR Social Media can help you create a social media strategy that fits your total social media marketing needs. Our conversation starts with your company, your current marketing efforts and your overall social media goals. After an in-depth analysis of your current strategies, we will help you develop a plan that fits with you and your company’s social media marketing needs. 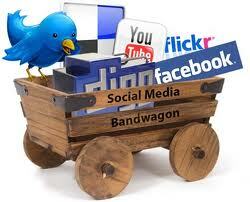 ADR Social Media will work with you to create your social networking presence based on your total social media plan. We can create and customize your Facebook Page, Twitter profile, Google + account, LinkedIn Business Profile and Group, YouTube Channel and Foursquare presence. ADR Social Media Boot Camp offers hands-on training and tutorials on all the basics of Facebook, Twitter, Google+, LinkedIn, YouTube and Foursquare. We can also include tutorials on Blogging, how to set them up and link them with your current social networking platforms. Tutorials can be designed for 1-4 participants. Larger group presentations can be arranged. At ADR Social Media, we won’t abandon you after boot camp. We can provide ongoing training and consulting to help you maintain your strategic social media plan. Or we can do it all for you, on monthly, weekly or even daily basis. When you’re creating a website, it is critical that you conduct a thorough keyword search to determine the most searched and suitable words relevant to your business. At ADR Social Media, we can help you do just that. We will help you conduct keyword research, optimize your homepage and all landing pages, create title tags for all pages and add search engine specific meta tags for all pages.